The European Union, Investing in your future. Dr Joan Farrer is the University of Brighton's principal investigator and will be leading the project with research teams from the College of Arts and Humanities and School of Pharmacy and Biomolecular Sciences (PABS). The team will be working on Green Materials and design in the use and promotion of agro-materials, including material waste streams. 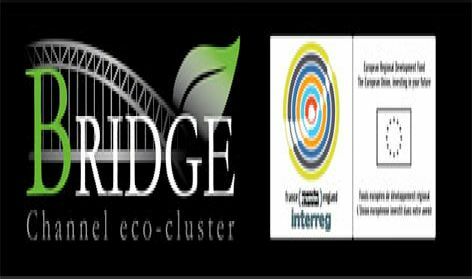 It is a Southern UK and Northern France collaboration to analyse, map and engage local and geographical networks in the field of ECO materials such as timber and textiles in order to create more sustainable commercial materials practice. This includes processes, re-use and consumer understanding of sustainability. 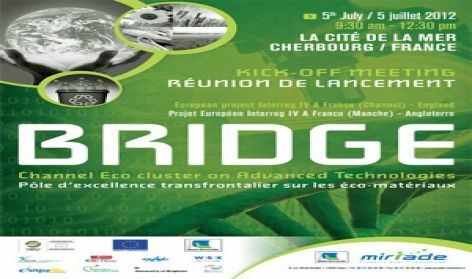 Networking between French Poles of competitiveness and English clusters specialised on Green Technologies (no projects of this kind since the beginning of the fourth programming) leading to the emergence of cross-border R & D projects. Exchange of best practices between project stakeholders. Establish partnerships in the field of technological innovation (environment, energy and materials). Activating the non-technological innovation by cross-border relations. Conduct a mapping of the economic and scientific actors involved in the field of pre-incubation, incubation and business and research centers specializing in the field of eco-design and eco-construction. Cooperation between centers of excellence on both sides of the eligible area, already competitive or start-ups (ECOVIA in Lower Normandy) across the Channel area. Perform Forums and border gateways (one-to-one meetings between industrials and researchers) so as to create new Franco-British collaborations. 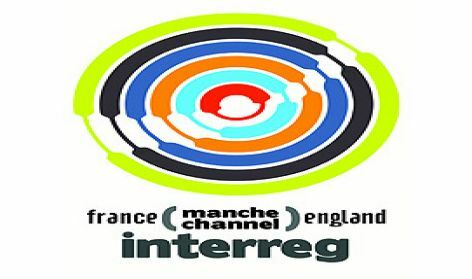 Arrange visits to companies in France and England in the area of incubation and eco-materials (design and construction) - Partnerships between centers of technology transfer, research, and development of applications involving the private sector. Studies of the phases of pre-incubation in the French and British Universities (detection and selection of the future companies). Establishing new cooperation on the incubation of start-ups specialized in green technologies and the realization of projects emerged inside the project as part of project activities (support and monitoring of young innovative companies). Make visible gateways (and create new ones) between incubators and business centres (joint actions with CHAIN ​​2 project). Build Eco Regions in France and in England by new innovative projects leaded by the research teams in both Universities and Schools of Engineering. Total funding for the project is £2.4 million of which £500k has been allocated to Dr Farrer at the University's Faculty of Arts. BRIDGE began in March 2012 and will complete in December 2014.